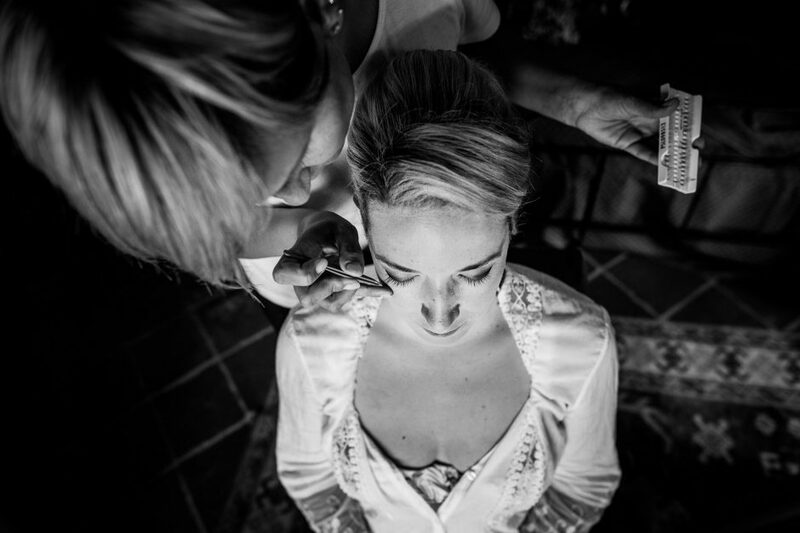 These are the photos of the destination wedding of Manuela & Thierry, who get married at Canale d’Alba, in the beautiful farmhouse Le Querce del Vareglio. We had already met these guys at the wedding of Nhu-Lan & Sergio, who are present among the guests and it is a pleasure to meet them again. As I expected, there are friends coming from all over the world. Marriage is a love celebration, but when it also becomes a party with people of different cultures is even more beautiful! The guys get ready in the rooms of the location. Manuela has the company of her friends for makeup and dressing. Thierry is with his friends, and one of them will celebrate the wedding rite. The ceremony is outdoors. The heat of this July will be remembered for a long time. But soon the attention is shifted to the bride and the groom, who are ready to pronounce their promise of love. In the shadow of the garden’s olive tree Manuela and Thierry are said yes, it is a celebration full of emotions. Le Querce del Vareglio is an amazing wedding location that has a spectacular view over the vineyards and the hills. We are in Canale d’Alba, we are very close to the River Tanaro that divides the Langhe from Roero. Two raindrops come to cool the air. But shortly after the dinner begin, with friends sitting on a long table. Lavender flowers beautifully color outfits, and are the heart of Manuela’s bouquet. The evening continues in a delightful atmosphere. Hay bales become comfortable sofas and armchairs. Kids enjoy the pool. Dad’s speech tells the story of Manuela and Thierry, a love that has led to this beautiful destination wedding!